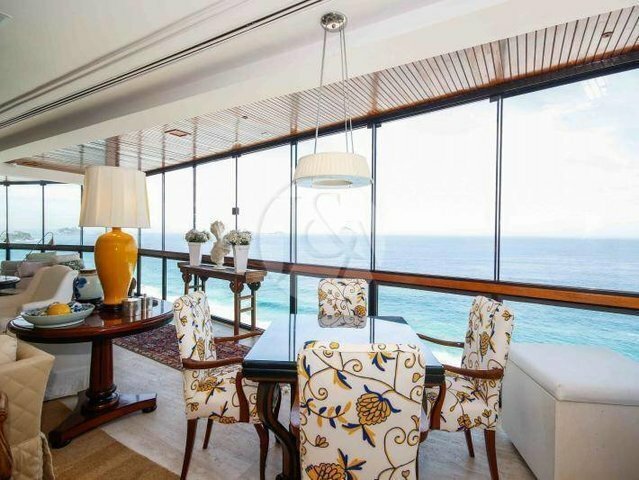 The stunning apartment offers spectacular views of Sao Conrado beach. This unit offers an incredible, open layout with a spacious living and dining room, a kitchen with high-end appliances and lunch room. Three suites, a balcony that provides incredible views and a spacius living room. The building offers endless amenities, play, swimming pool, sauna, party room, game room, gym, tennis court and an unparalleled luxury living experience. Parking space for 3 cars.